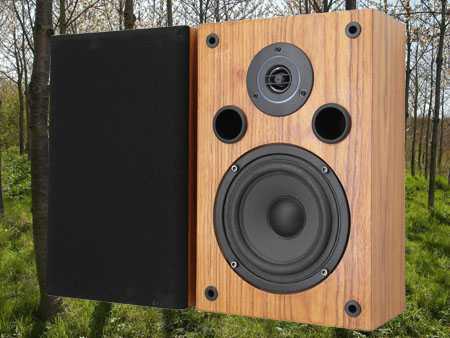 Product name: Trends Audio SA-10 loudspeakers. When I received a sample of the Trends Audio UD-10 USB DAC nearly six years ago I little realised that my review would be the start of me auditioning a whole system from that supplier. 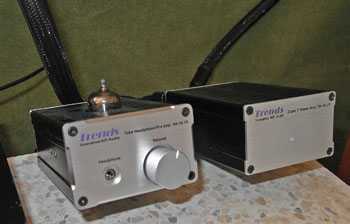 But recently I received a set of Trends Audio SA-10 loudspeakers (and cables) that were the final components in a complete computer-based hi-fi system from that supplier. Having been highly impressed with the other Trends products, I was keen to find out if the speaker system (speaker and cables) were as good. As usual the Trends parcel arrived in perfect condition, taking only three days to travel from Hong Kong to my home in England. A larger carton contained the speaker leads together with a smaller carton that contained the SA-10's. I was quite surprised at the weight of the smaller carton given its size. Opening it up I found that the smallish SA-10's weigh quite a bit more than speakers of a similar size that are typically supplied with say a typical Sony/Panasonic/etc mini hifi system. 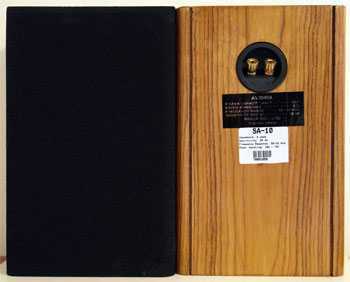 They are obviously very well made and look quite classy in their cherry veneer finish. With dimensions of 125(D) x 195(W) x 300(H) mm they are the smallest speakers that I have used seriously in my 45 years of home hi-fi. Despite this small size, they weigh in at 6.5 kilograms (a pair). The cabinets are stiff, 'dead', and obviously well constructed. There's a 1 inch tweeter (polymer dome and neodymium motor with heat sink) and a 5.25 inch woofer (Multi-fibre coated pulped paper cone), and twin reflex ports (both tuned to the same frequency). Not surprisingly for such small speakers, their frequency response is quoted as 65-22K Hz, and their sensitivity as 88 dB. They will handle power ranging from 15-70 watts, and are said to be easy to drive with an 8 ohm impedance. On the rear of the speakers are the 5-way binding posts, and a nice touch is the rear being veneered as well as the rest of the cabinet. Setting the SA-10's up starts with a choice of shelf mounting or stands, but obviously you will want quite a sturdy shelf. With no suitable shelf I went for tall stands. I would recommend placing the tweeter at ear level, and in practice preferred it slightly higher with the woofer at ear level. I found that 'lifted' the whole sound stage and made it 'appear' slightly larger. If you don't have tall stands, why not make a pair of the TNT 'Stubbies' but using a longer section of pipe? Exact location will depend much on the listening room (and what's in it) and I found that the SA-10's worked best where I usually place my other speakers, i.e. about two feet (60 cm) in from the side walls. With such a high cut-off point for the lower frequencies, they do need to be right back against the wall or they will sound 'thin'. The drivers are shielded so if you are setting this system up near a TV (as you may well be with a small system) they shouldn't cause any problems. 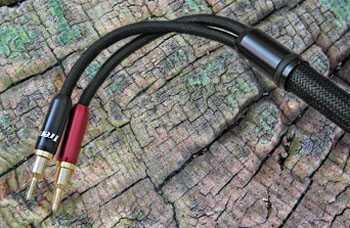 Now we come to what I see as a bit of a problem, and it concerns those speaker CQ-500 cables. They are beautifully constructed, well specified with gold-plated copper connectors (choice of banana plugs or spade connectors) and look lovely but they are monsters! I measure them as 17-18mm diameter, and they are heavy (for cables) and quite stiff. At TNT we don't like to get too evangelical about cables but I'll just state that I found using the CQ-500's there was slightly more focus than when using my bog-standard stranded cables, so acoustically I would have little hesitation in using them in my main system). But using them can be a nightmare. Such heavy cables are difficult to use with full-size (heavy) amplifiers, but without support, the CQ-500's mercilessly drag the tiny TA-10 amplifier from its perch on the equipment stand. Without care, they are also capable of dislodging the small SA-10's too. 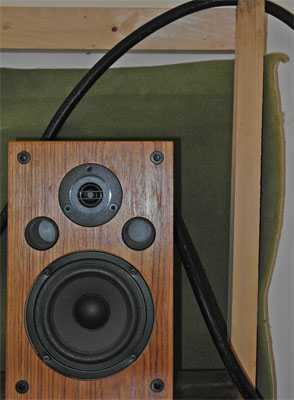 For the review I found the solution was to suspend the cables on the large wooden frame that I have behind my hi-fi rack (the frame holds carpet in position on the wall). With the weight of cable supported by the frame, I could connect them to the amp and speakers, although I still found it necessary to place a heavy weight on the TA-10 to prevent it from toppling backwards as shown in the picture below. I can't see this (temporary) solution being aesthetically acceptable to anybody on a permanent basis. An alternative would be to secure the cables to the rear of the equipment rack but either way, the size and weight of these cables will make them difficult to install safely, and to be kept out of sight. to press down on the interconnects and cause the above to happen. And so on to the review of the speakers. I set up the Trends system, i.e. the UD-10 USB DAC, the PA-10D GE valve pre amp, and the TA10.P power amplifier. This was all powered from the PW-10 linear power supply. I had one set of the Trends interconnects that I used between the USB DAC and the pre. These are fairly stiff cables and not ideally suited to connecting such small (and light-weight) and closely spaced pieces of hi-fi). The music signal was supplied from a PC running Ubuntu with Exhaile as the music software. One thing I noticed during the many sessions of listening to this system was that things got noticeably better after about 20-30 minutes of the system being powered up. In particular it sounded fuller. I presumed that the SA-10's had come straight from the factory so before listening seriously I left them playing music for around 20 hours in total in case they needed 'loosening up' . My first observation was the lack of lower bass. This wasn't surprising as I had been using the Alacrity Audio Caterthun in the same room prior to the SA-10's. But it's amazing how first impressions change after a little while listening to a system, and the more I listened, the less I noticed the lack of deep bass from these little speakers. How much I noticed it also seemed to depend a lot on the recording, e.g. on Morphine's 'Top Floor Bottom Button' the lack of lower bass didn't seem to matter. As we know, some recordings have the bass frequencies boosted (around 60 Hz) in order that the production sounds better when played through a radio. I was a pleasantly surprised while listening to the track 'Bethe Bethe Kese Kese' on the album by Gaudi featuring Nusrat Fateh Ali Khan that the lower bass didn't appear diminished at all. In fact the SA-10's played that album very well with excellent detail. What the SA-10's lose in the deeper bass, they make up for in the quality of the bass. It's quite well defined and tuneful but more than that, it is so fast and pacey (reminding me of the old Linn Kans many years back) that it distracts the listener from missing those very low octaves. It makes listening to something like Paul Simon's 'Graceland' simply exquisite and compelling, with a foot-tapping performance that brings a smile to the face. Joan Armatrading's 'A Woman In Love' was another track that empathised the fast pace of the SA-10's. The second quality that I picked up on was the mid-range clarity. Vocals are remarkably clear and natural (Patricia Barber 'My Girl'). It made it very easy to identify a singer. And the sound of fingers clicking in the background was portrayed quite realistically on the same track. On the introduction to 'War of the Worlds' Richard Burton's voice was very 'authentic', and the echo was easily discerned too. Every detail in good recordings was easy to pick out without ever being too prominent. The top end goes about as far as I would want it to. In other words it brings out the detail without going as far as sounding unpleasant. For example violin strings sounded sharp but not harsh. I did try the SA-10's with, and without, their grilles but I can't say that I noticed much, if any, difference either way. The clarity of detail made for a good impression of presence. On Helen Merill's version of 'When I Fall In Love' it really was like she was in the room with me. I also liked how the system kept different details well separated and easy to discern. For instance on Paul Simon's 'Diamonds On The Sole's Of Her Shoes' all the separate backing voices were easy to hear. On Dadawa's 'The Turning Scripture' every element form the tiny bell sounds to the cacophony of Tibetan horns was easily identifiable. Everything was clear even with the volume turned high. Again, the scale of this piece wasn't huge, but the emotion of Dadawa's voice came through well and it was still awesome to listen to. While listening to the Eagle's 'Long Road Out Of Eden' album, I thought the piano was not the most realistic that I have heard, but playing Beth Nielson Chapman's 'Emily' I thought the piano was very good (as was the emotion conveyed). I put on a Chesky audiophile album and played through several samples of solo piano and the SA-10's acquitted themselves admirably. The sound stage was quite wide but depth wasn't very deep as would be expected with the speakers being so close to the wall behind them. But playing the Roger Waters 'Amused to Death' album with Q-sounds effects, I found them to be quite well spread around the room, although not quite a well defined as I have heard with some other systems. Actually, the Q-sound effects improved markedly after a week of listening to the SA-10's so I assume that they were still breaking in and improving. With that lack of lower bass, scale suffered a bit too on some recordings which was only to be expected. So these aren't the speakers to play full-scale orchestral works (1812 Overture), or film soundtracks ('Gladiator') while your neighbours are away. But the sound isn't 'small' and these type of works were still pleasurable to listen to. On solo performances, the performers could sound 'life-size' again much depending on how the performance was recorded. It should be noted too that small speakers like the SA-10's are really only for smaller listening rooms. All my comments in this review refer to them being used in a room of around 9 square metres. Generally classical music was also a real pleasure through the SA-10's Sostakovich's 'Romance And The Gadfly' sounded sublime and conveyed the emotion perfectly. On a recording of Mascagni's 'Easter Hymn' the choir was spread out from speaker to speaker, and there was a good 'feel' of the recording venue. It was quite apparent that the TA-10 amplifier could drive the SA-10's easily and without running out of steam. Obviously the two have been designed and developed to work together, and the impression was that this whole system worked with a synergy that squeezes the best from each component to produce a very satisfying result. The system also went plenty loud enough. This system also made a good job of playing older material. The album 'Pampered Menial' by Pavlov's Dog is one of those recordings that can sound good or bad depending on what it is played on. With the SA-10's it sounded good. Likewise, I really enjoyed Queen's 'A Night at The Opera' and Heart's 'Dreamboat Annie'. I also tried the SA-10's with some different equipment. I swapped the Bantam Gold in for the TA-10.P, then the Miniwatt N3. I tried my own valve pre instead of the PA-10D.GE, and then the KingRex UD-01 Pro USB DAC instead of the UD-10. While each of these changes made subtle differences, the overall results through the SA-10's were always enjoyable. But I kept going back to the 'all-Trends' system as somehow that seemed to hit the sweet-spot i.e. it sounded not necessarily the best but it sounded just right. Over all, the SA-10's played everything well, and certainly made listening very enjoyable. The lack of lower octaves, and sometimes scale is their only real negative (and was only noticeable on a few recordings), and is only to be expected on such physically small speakers. Summing up, the SA-10's are very good small speakers: detailed, transparent, fast, and punchy. If you can live with the lack of deep bass (which only affects a small proportion of music anyway), they will give very good results in a smaller listening room. That lack of deep bass is compensated by the speed, and many listeners may actually prefer it that way, depending of course on what types of music they mainly listen to. My concern is not with the SA-10's but with their matching cables, the CQ-500's. They would be hard enough to use in a large room, but with the speakers needing to be back against the wall, and quite possibly with the amplifier on a shelf, the cables will be rather prominent and difficult to route neatly. That's a shame really because I think the CQ-500's are good cables and do compliment the SA-10's, but a smaller, more flexible cable would be more practical. But don't let the CQ-500 practicality issue detract from the fact that the SA-10's sound great, work very well with the rest of the Trends system, and look rather nice too. I always conclude my auditioning process by asking myself if I could live with whatever I am reviewing, or rather would I want to. In this case my answer was yes, if I was confined to a smaller listening room and had this Trends system, I would certainly enjoy my music without constantly wishing for something 'better'. On the other hand, again being brutally honest, I felt that the Trends system is so good that it almost deserves a larger speaker, with more bass/scale to do it full credit. But that's a compliment to the rest of the Trends system rather than a criticism of the speakers. The Trends designers made it very difficult for themselves to produce their 'ideal' speaker by making the rest of their system so good in the first place. What they have squeezed into the little cases that house their USB DAC, valve pre amp, and amplifiers is really commendable. The problem when it comes to speakers is that there simply has to be a compromise. The laws of physics mean that as you make the speakers smaller, they have to lose something in terms of their bass performance. And we shouldn't forget that Trends also aim to supply their stuff at reasonable prices; so they were asking a lot of their designers. I also accept that they have designed their whole system for use where space is at a premium, and with that in mind, I would say that once again they have done an excellent job with the SA-10's. So for smaller listening rooms, I give the SA-10's a strong recommendation. Trends have done it again, and completed a micro hi-fi system, at a reasonable cost, that truly does deserve the audiophile tag. Addendum: After completing the review, I was playing around to see if I could make a better job of using the CQ-500 cables. I found that if I placed the TA-10 amplifier at the front of a standard hi-fi shelf, the rear part of the shelf would support the cables. Whether this is a satisfactory arrangement will be down to personal test because a lot of the cables are then on view.